Less costly than many Japanese rivals, the competent Breeze also is better equipped and roomier than some other family sedans. Intended as the lower-priced entrant into the midsize market, Breeze was the third version of Chrysler Corporation’s JA front-drive sedan. 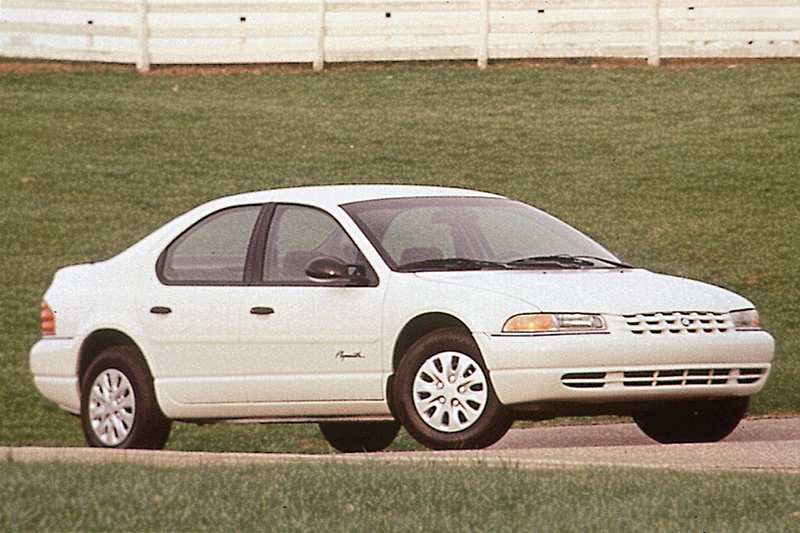 Breeze is similar to the Dodge Stratus and Chrysler Cirrus. Only one engine was available initially: a 132-horsepower, 2.0-liter 4-cylinder, with a standard 5-speed manual transmission or optional 4-speed automatic. 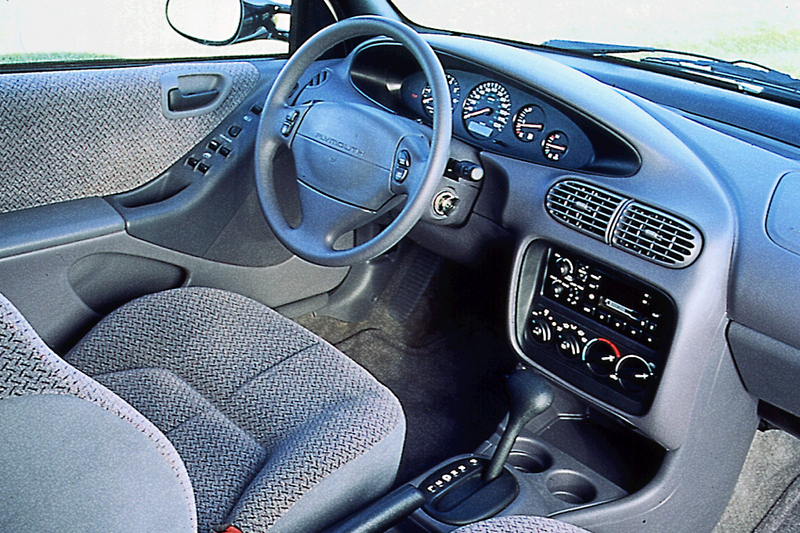 Standard equipment included dual airbags, air conditioning, an AM/FM stereo unit power steering, and rear defroster. Antilock braking was optional, as was an integrated rear child seat. Only a few changes were evident in 1997 models. A new console included storage, an integrated armrest, and cupholders for rear-seat occupants. A bigger, more-potent engine became available this year. The dual-overhead-cam 2.4-liter 4-cylinder made 150 horsepower, versus 132 for the basic 2.0-liter. Only an automatic transmission could be installed with the larger engine. Revised suspension tuning for 1999 promised a smoother ride, but little other change was evident. 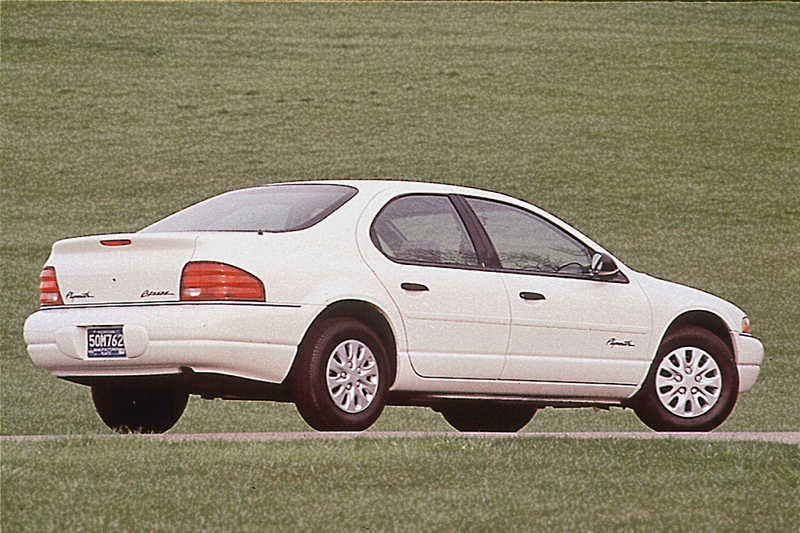 Breeze production halted early in 2000, as part of the phase-out of the Plymouth brand name. One trim level remained for this partial final season. For its first two seasons, only a 2.0-liter 4-cylinder engine was available, hooked to either a 5-speed manual gearbox or 4-speed automatic transmission. 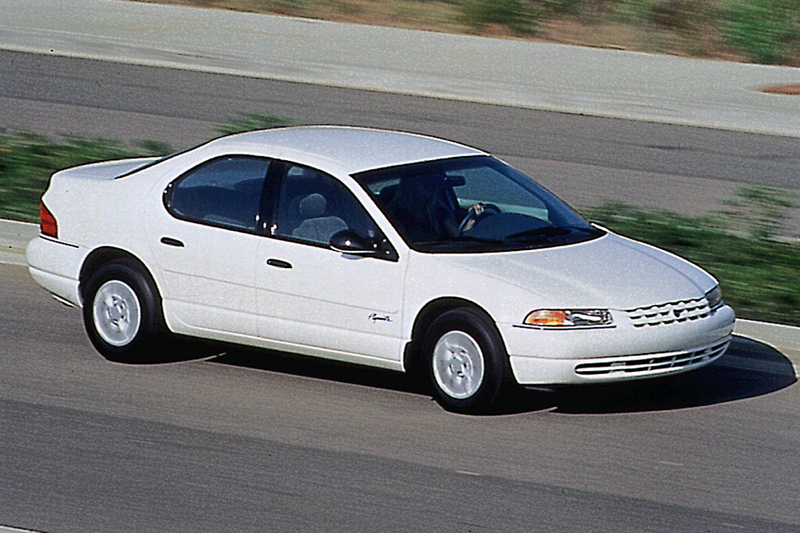 A larger (2.4-liter) dual-overhead-cam 4-cylinder engine became available in 1998, sold only with automatic. Except for the lack of an alternative to its initial 2.0-liter engine, the first Breeze offered essentially the same virtues and demerits as the Cirrus and Stratus. That engine has adequate pep with manual shift, but feels sluggish with the automatic transmission, especially when you need a quick burst of speed for passing or merging into traffic. Even with the manual gearbox, it’s necessary to downshift fairly often to get acceptable response for passing and merging, or when encountering modest upgrades. The 2.0-liter four also is noisy during hard acceleration. A manual-shift Breeze got 30.2 mpg overall, while one with automatic managed 27 mpg in mostly highway driving. Acceleration and passing power aren’t dramatically better with the 2.4-liter engine, still ranking as adequate for daily driving. The bigger engine is not a lot quieter, either. On the plus side, it’s a roomy and well-designed family sedan that offers competent handling ability. 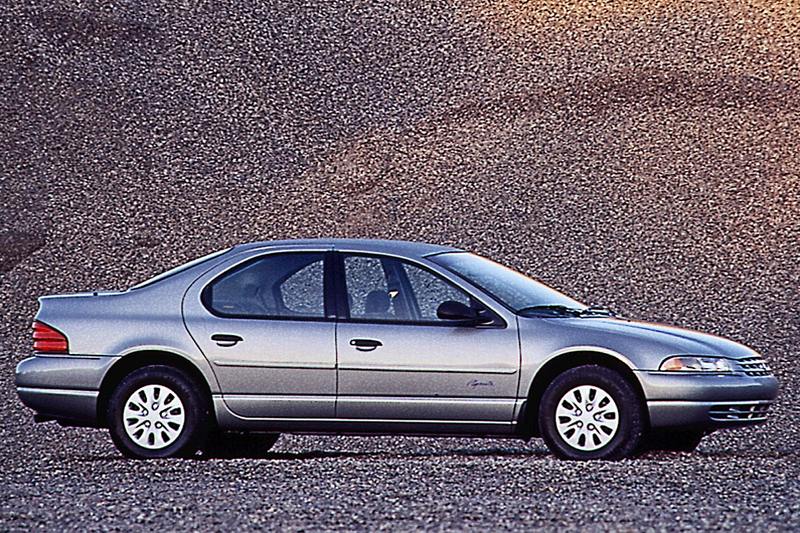 Like its Chrysler Corporation cousins, the agile Breeze feels at home on twisting roads. A firm suspension tames body lean quite well and reduces bouncing at highway speeds, but it’s less effective at absorbing the impact of bumpy pavement surfaces. Space is ample at all seating positions, courtesy of the “cab-forward” design. Three medium-size adults can sit abreast in the back seat without feeling like sardines in a can. A spacious trunk holds plenty of cargo, and has a flat floor and low liftover. The modern dashboard has simple and convenient controls, positioned for maximum visibility and accessibility, but interior materials are of lower grade than usual for this class of car. The rear seatback folds down, to add storage space. Visibility is excellent to most directions but restricted through the narrow rear window. Ratings values are on a 1-10 scale, with 10 being the best. With the exception of Value, these numbers reflect how the vehicle compares against the universe of vehicles, not just against rivals in its class. Description: Corrosion of ABS hydraulic control unit can cause solenoid valves to stick open; vehicle then tends to pull from a straight stop when brakes are applied. Description: Secondary hood-latch spring can disengage if hood is slammed. Description: Lower ball joint can separate due to loss of lubrication; could cause loss of control. Description: Improperly adjusted cable could disable “ignition-park” interlock system. Description: If operator presses button to shift out of Park with key in locked position, pin can break; “ignition-park” interlock would then be nonfunctional. Description: Right rear-brake tube can contact exhaust-system clamp and wear a hole in it; tube could then leak, reducing braking effectiveness. Description: Incorrect child-lock instruction label could cause confusion as to whether the childproof safety lock was activated. Description: A few cars were produced with unpainted fuel-tank straps. Description: Inadequate weld on some vehicles could result in fatigue damage of right front brake tube. Description: Some of the owner’s manuals for these vehicles are missing instructions for properly attaching a child restraint system’s tether strap to the tether anchorage. Click on year to see equipment lists for all models offered for that model year. Power mirrors, power door locks and windows, 8-way power driver seat, rear floormats. Requires 2.4-liter engine, automatic transmission. Requires Quick Order Pkg. 24B, automatic transmission. Includes cruise control. Requires Pkg. 24B, 2.4-liter engine. Includes map lights, illuminated visor mirrors. Requires Quick Order Pkg. 24B. Requires Quick Order Pkg. 24B. Equipment lists are only viewable on larger screen sizes. Used-car pricing varies widely depending on local market conditions. Therefore, we recommend visiting websites that list used cars for sale to get a better idea of what a specific model is selling for in your area.